Social conflicts over industrialization in the nineteenth century gave rise to a whole range of institutions now typical of modern states, such as Ministries of Employment, employment legislation and trade unions. 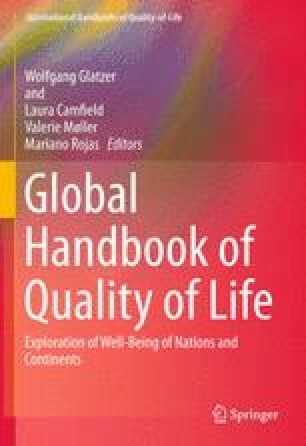 These institutions have played a key role in improving quality of life and wellbeing in advanced societies, and there is plenty of documentation and research on them. However, unpaid work only began receiving considerable attention from 1995 onwards, when the United Nations proposed at the Beijing Platform for Action that the System of National Accounts should be reformed to include an unpaid work satellite account. Since then, research on this topic around the world has intensified, especially through the development of Time Use Surveys. This chapter discusses the ties between paid and unpaid work, wellbeing and globalization, as well as differences in the use of these terms in different productive and cultural contexts. The last part of the study provides a detailed analysis of how unpaid work contributes to the care of individual and collective wellbeing. Based on United Nations demographic data, it forecasts medium-term care demand in the world’s largest regions and draws attention to the need to find new models of distribution between families and other institutions.